Joey Logano and Martin Truex Jr raced hard for the final ten laps at Martinsville Speedway. A race win and thus advancement into the NASCAR championship race was on the line. Truex raced him clean. At least, as clean as he could given the circumstances. Coming to the white flag, Logano lifted and gave up on the top groove. This handed the lead to Truex just as they took the white flag. Though, he was far from waving the white flag of defeat. All hell was about to break loose. Heading into the final corner, Logano lined up the bumper of Truex and pushed him up the hill. It’s a move we’ve all seen a million times. Crash or not, it’s still going to make the highlight reels in the years to come. And that’s exactly why it’s great for the sport. The two drivers banged wheels all the way to the finish line. The fans stood, invested in what they were seeing. Fender pieces went flying, but everybody crossed the finish line. 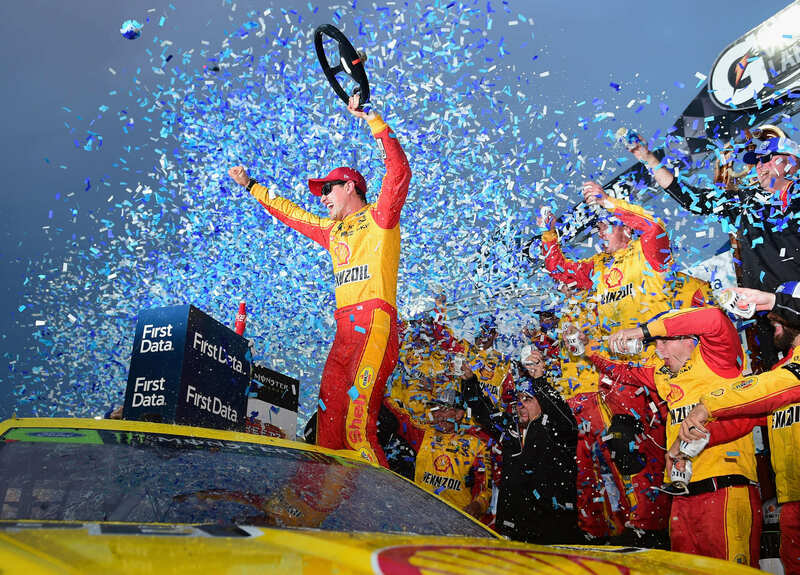 Logano is heading to Homestead-Miami Speedway with a chance at a championship. Truex loaded up with a 3rd place finish in the race and he stands 3rd on the NASCAR playoff points sheet. Yet, the move pulled by Logano is up for debate and probably always will be. Some are going to like it, some aren’t. It’s less about the move and who you like. Watch the video of the final laps at Martinsville Speedway here. 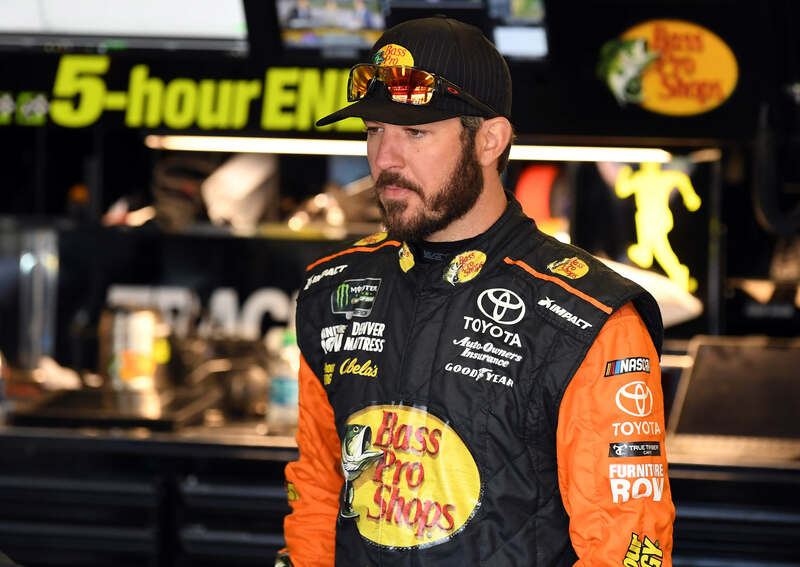 Martin Truex Jr is attempting to set and maintain the unwritten rule book of race driver practices. Truex feels the other drivers have taken note of that and used it against him. Ironically, drivers used to say the same thing about Joey Logano when he first joined the NACSAR Cup Series division. “I try to do things the right way,” Truex commented. “You race fair. You race clean. You race as hard as you can and try to beat the guy straight up. I can say that every single win I ever had, I earned it,” Truex concluded. Joey Logano collected the check and the trophy. He did what he had to do to win the race. Truex had the butter car but Logano went into turn three with a refuse to lose attitude. Now, he has a guaranteed chance at a much larger prize. “That bump and run move. Although, that was probably the most popular one of the whole race because it was for the win on the last lap. But, I’m pretty sure it happened about 10-15 times before that. [Those] did not get covered,” Logano stated as the series unloaded at Texas Motor Speedway the week following. All the greats have done it. There’s a list: Earnhardt, Gordon, Waltrip, Wallace. I saw Jeff Gordon do it to Rusty Wallace at Bristol Motor Speedway. In fact, I saw it from Gordon to Wallace multiple times, in the same corner and at the same track. “Does that solidify the move any? I don’t know, maybe. It is something that I grew up watching on TV as a kid,” Logano concluded.